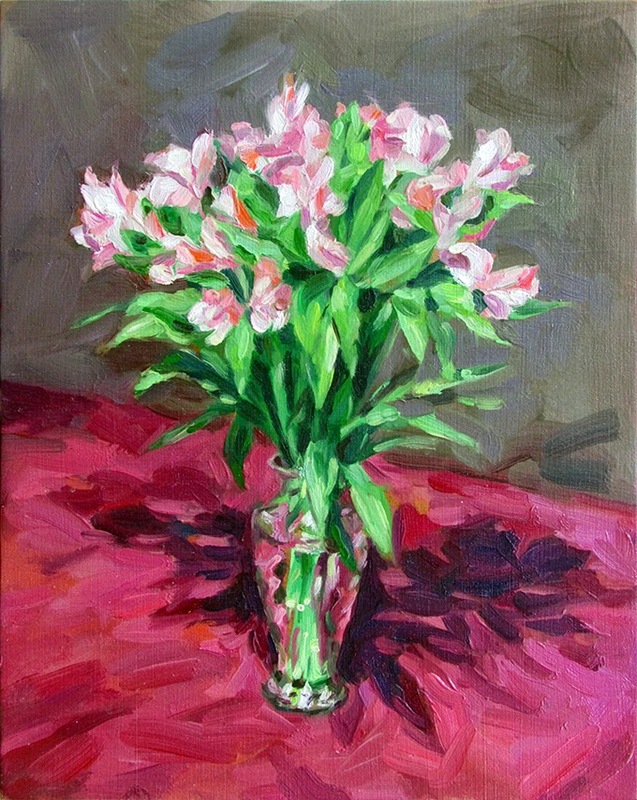 A small oil of a bunch of flowers that I painted one night by artificial light. I don't often work on board, much preferring canvas, but at this tiny scale boards are far more practical. It reminds me of a lecture about still-lives at college in which the tutor finished off by stating: "Don't trust anyone who doesn't like flowers! They have no appreciation of beauty... and are probably psychopaths." It was a weird thing to say, but is sort-of true.